In 2012, the Brooklyn Nets arrived on the scene in Downtown Brooklyn riding white horses as they were seeking to create a buzz and steal fans away from the New York Knicks. The Nets would make the playoffs in each of their first three seasons in Brooklyn, but they would never advance past the second round. And since then the Nets have become the equivalent of a hyped-up stock that has crashed and burned as they’ve gone on to be one of the worst teams in the NBA. After the Nets went 21-61 last season they barely managed to win 20 games this campaign as they secured the worst mark in the NBA. But the bad news for the Nets is that with all of this futility, they don’t even possess their own first-round pick which would be in the top three of the NBA Draft this June due to a trade in 2013 that saw them acquire guard Jason Terry, power forward Kevin Garnett, and small forward Paul Pierce from the Boston Celtics in arguably the worst trade in sports history. As a part of the deal, the Nets sent three first-round picks, along with the ability to swap first-round picks here in 2017 to the Celtics which they’ll really feel the effect of this summer since Boston finished the regular season as the top team in the Eastern Conference. The trade was a win-now deal for the Nets and they flopped as the trio of Terry, Garnett, and Pierce combined to appear in just 206 games for the Nets. The Nets have been feeling the effects of the deal ever since as they are attempting to recover, but they haven’t had the draft picks or salary cap flexibility to expedite the process. 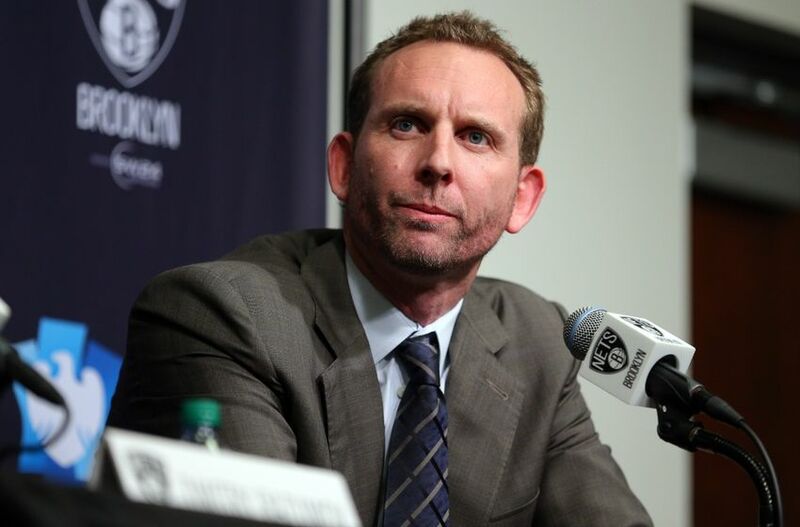 Sean Marks took over as the Nets general manager last year knowing that he had a tall task ahead of him being that Brooklyn was hamstrung due to a lack of draft choices. 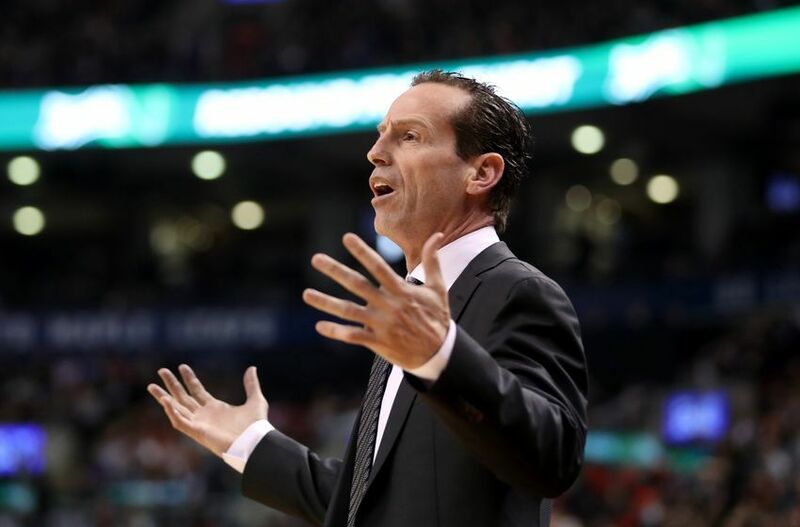 Marks hired Kenny Atkinson to be the Nets head coach as they knew that their first year together in Brooklyn was going to be a harsh one. At no point this season were the Nets at or above .500 which included them only winning one game from December 16-January 17. The Nets lacked NBA talent on their roster and with the exception of center Brook Lopez who averaged 20.5 points and became the franchise’s all-time leading scorer, there wasn’t that much for Brooklyn to hang their hats on. The nostalgia of that moment wore off rather quickly for the Nets as the reality of one of the worst seasons in franchise history kicked in which was culminated by their 112-73 loss to the Chicago Bulls to end the season this past Wednesday night. The Nets had six players including Lopez sit out that contest as the blowout loss summed up their season. And even with so much against Brooklyn, they must find a way to improve heading into the summer. The main thing that Marks must do is find a way to trade Lopez. Lopez has been a model citizen for the Nets since they drafted him in 2008. But the reality of the situation is that the Nets aren’t going to contend with him and thus they need to acquire as many assets as possible for him. This past season saw Marks make Lopez available just prior to the NBA’s trading deadline, however his steep asking price of a pair of first-round picks scared off potential suitors. For Lopez’s NBA career he has averaged 18.6 points, 7.1 rebounds, and 1.7 blocks. Lopez is set to earn more than $22 million next season which is the final one of his contract, but he could be enticing enough for a contenting team to pick up. During the season the Nets traded small forward Bojan Bogdanovic to the Washington Wizards in exchange for a first-round pick this summer. But like the Celtics, the Wizards are headed for the NBA Playoffs which means that the pick will be towards the end of the first round. However that is as active that the Nets will be on draft night as their second-round pick which is 31st overall is now property of the Atlanta Hawks as the result of the trade that saw them acquire swingman Joe Johnson in 2012. The Nets already have more than $70 million committed to player’s salaries for next season, but the operative word for them needs to be “patience”. The Nets mortgaged their future and now they are paying for it severely. The Nets and their owner Mikhail Prokhorov had to learn the hard way that their is no quick fix in the NBA unless it involves you signing LeBron James. The Nets must focus on drafting, stick to the plan, and accept the fact that they are going to be bad for some time. This is a franchise that has not won a championship of any kind since their days in the ABA. And during the Nets time in the NBA, each time that they appear to be a verge of building something positive, it crumbles like a deck of cards. The Nets call the Barclays Center home and it is one of the most state-of-the-art facilities in the NBA. However it hasn’t been much of a home-court advantage for the Nets as fans typically show up to cheer for their opponents. And until the Nets solidly establish themselves with a team that is a playoff contender, people will only show up to cheer for their opponents, along with the amenities that are at the arena. This season you knew that Marks and Atkinson would receive a pass for the Nets struggles on the court. And even though that the deck will be stacked against the Nets again for next season, they must find a way to improve.